As I post this image, I realize that my last several photos have been more photojournalistic in nature than my usual shots. Perhaps this is because I was more in a travel photographer mindset while visiting Okinawa, recording images as I saw them, impressions a place visited for the first time. I was trying to visually capture the essence of the place, both for myself and to share with others. 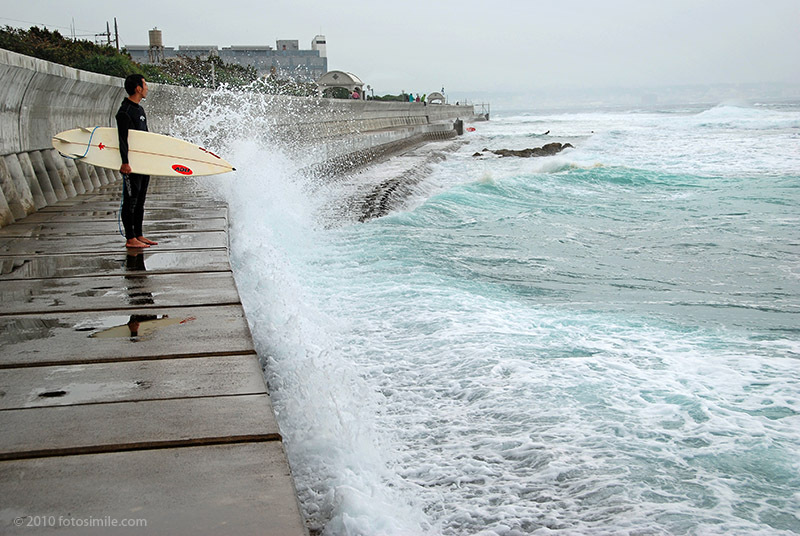 This photo was shot the day after Christmas at the Sunabe seawall on the East China Sea. The surf was up and the surfers were out to make the most of it. Very nice. It draws you right into the surf.